Look what Jenny's up to ! 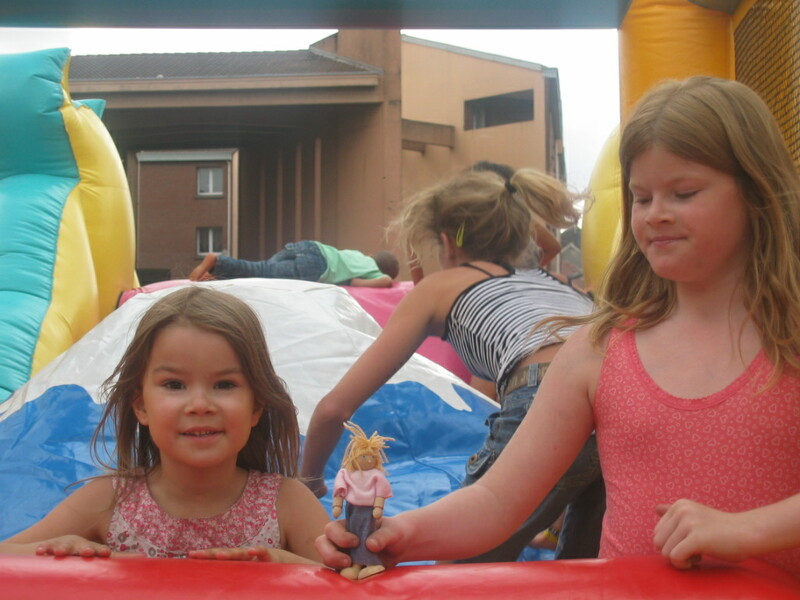 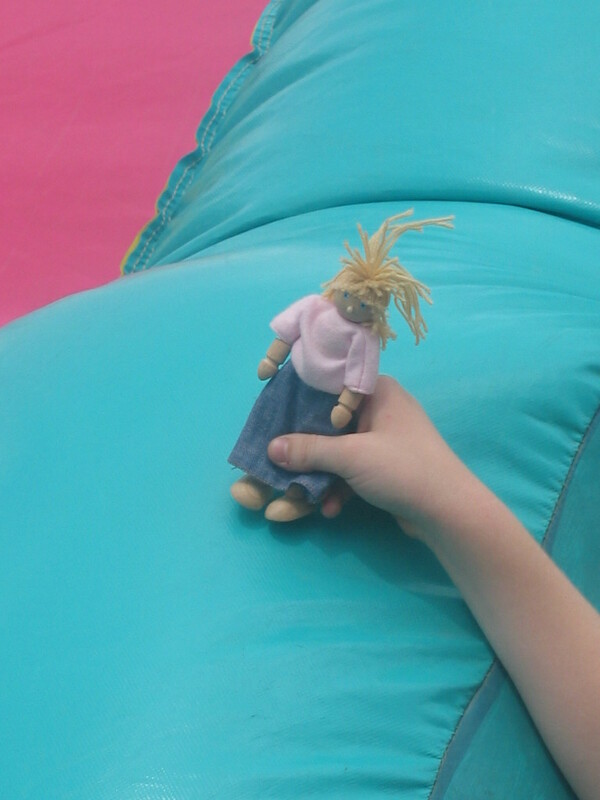 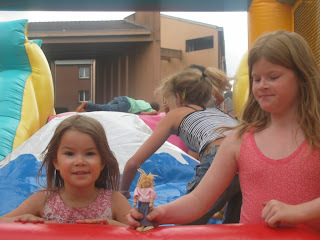 She's joined the girls on an enormous bouncy castle ! 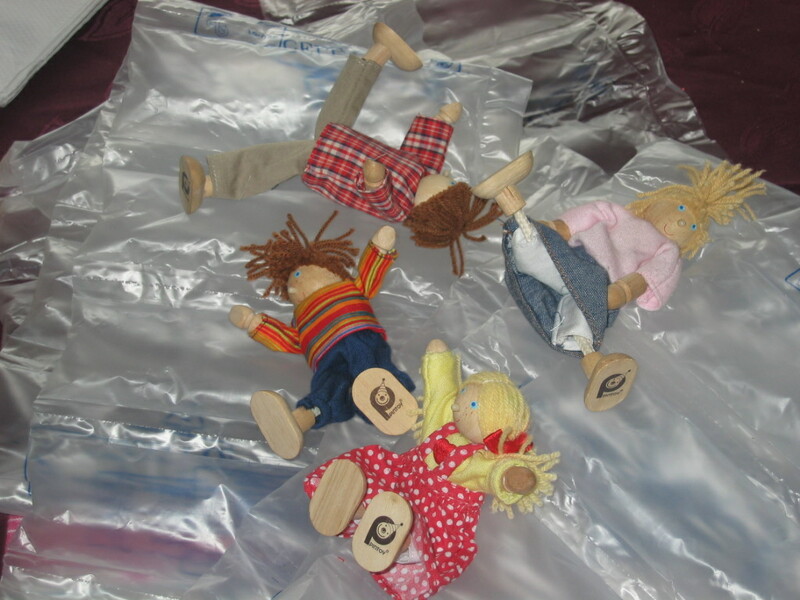 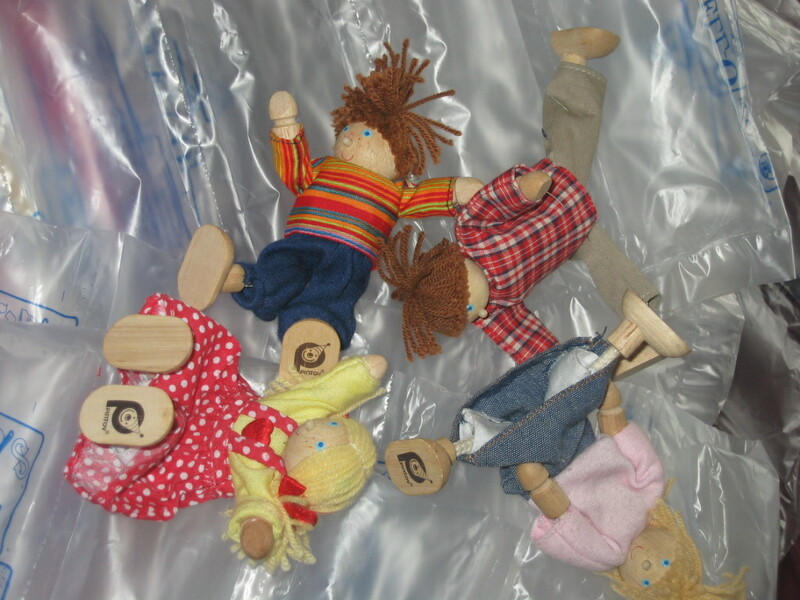 But it was a bit dangerous for the Woodenkids so they decided to go home and make their own using air-filled parcel packaging ! They all had great fun, even if Jenny did keep flashing her knickers ! 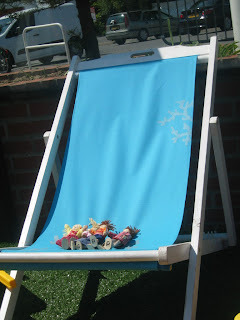 They were so tired afterwards that they all had a snooze in the deckchair in the garden to recover !